Unheated, Ceylon, Pink and Color Change Sapphires. Important: The following pictures are highly magnified (30X after you click on the thumbnail) and may not show the gems' real size, color and brilliance. See description for accuracy. Color can greatly vary from computer to computer, depending on your monitor's settings. Color will also, naturally, vary from sunlight to indoor, incandescent light and other lighting sources as well. Dark and lighter areas are effects from the digital camera. 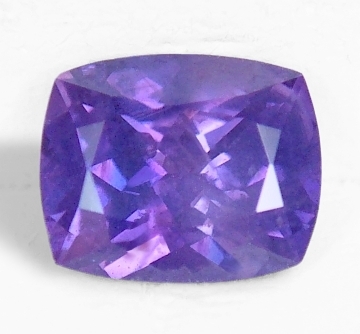 Exotic & exciting, well cut, unheated, Ceylon, color change, bluish-violet sapphire. 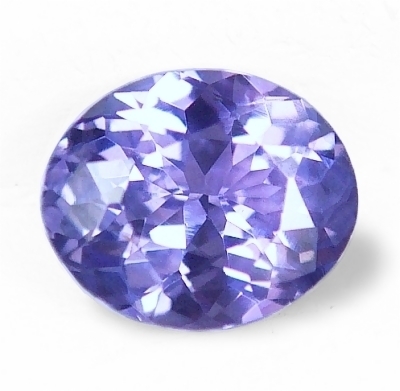 Awesome, unheated, Ceylon color change, "fancy' sapphire, this one weighting 1.10 cts., medium, rich, bluish-violet color in daylight (periwinkle) changing to a medium, "steely" pink-violet color in incandescent lighting, perfectly executed, oval "flower" cut and measuring 6.94 x 5.70 x 3.49mm, eye flawless, VVS1 from the gem fields of Marapana, Sri Lanka. Superb cutting & wonderful brilliance, this is a typical color change from blue-violet to violetish-pink. And as usual, completely natural in its color, without any sort of treatments. Becoming scarce and going up in price. Start your collection today. 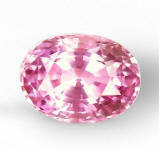 Charming, very well cut & clean, unheated, Ceylon pink sapphire. What a low price. You have finally found your final, international destination for unheated and untreated sapphires. We are the source. We have all colors, all well cut, all clean. How sweet is that. 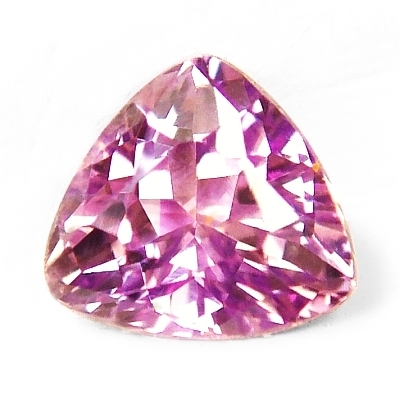 Here is an unheated, Ceylon pink sapphire , weighting 1.18 cts., pastel, purplish-pink color, masterly executed, "antique", squarish cushion, mixed cut, and measuring 5.97 x 5.43 x 3.78mm, eye flawless, VVS1 from the gem fields of Elahera, Sri Lanka. We have to say frankly. Here you will find, completely unheated/untreated sapphires, clean & well cut, in every color, at or below below wholesale price. Period. This is our pledge. Exotic, well cut, uniquely colored, unheated, Madagascan, pinkish-purple, "fancy" sapphire. 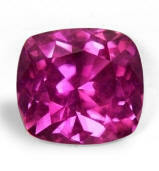 Sensuous with unique color, this unheated sapphire weights 1.45 cts., medium-dark, vivid and rich, pinkish-purple color (dark magenta), square, "antique" mixed cut cushion, medium-dark, vivid, pinkish-purple color (deep magenta), perfectly executed, squarish, "antique" cushion, mixed cut, measuring 6.57 x 6.07 x 4.12mm, VS1 in clarity (completely eye flawless), from the gem fields of Ilakaka, Madagascar. 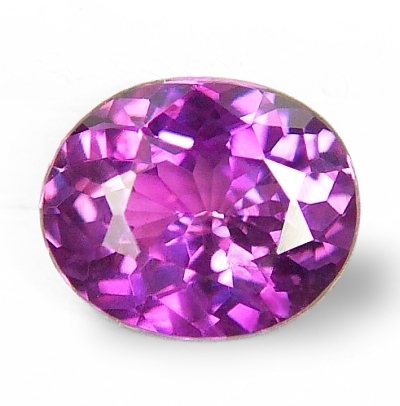 A beautiful, unheated deep magenta colored sapphire with ideal shape, delivering an exciting eye appeal and magical look. Will set either a 6 or 6.5mm, calibrated square setting and guaranteed to mount exquisite. 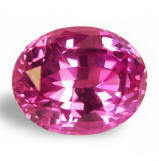 Seductive with beautiful color, good cutting, unheated, Ceylon pink sapphire. 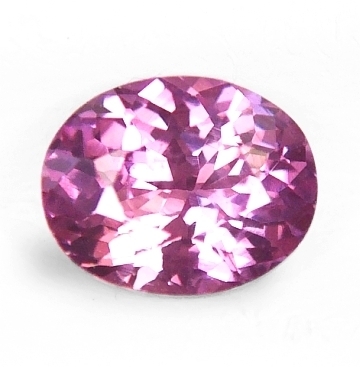 Very lovely, unheated, Ceylon pink sapphire this one, weighting 2.06 cts., medium, vivid, rich pink color with a very slightly orangish undertone, well executed, oval, mixed cut, and measuring 7.90 x 6.31 x 4.69mm, eye flawless & super clean, VVS1 in clarity, from the gem fields of Nivitigala, Sri Lanka. As clean as it gets, this sapphire possess a really sweet and rich color. 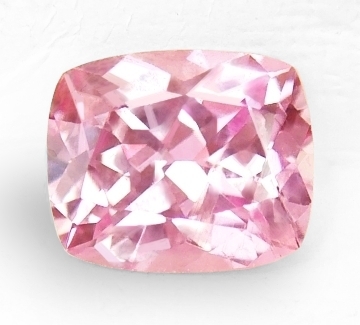 Superb clarity as well, in all a very beautiful pink on a borderline with a rich Padparadscha. Completely natural unheated and untreated, rare. Absolutely romantic, beautifully cut, unheated, Ceylon pink sapphire. What a lovely one. When we purchased the rough at the market in Nivitigala, we thought the rough would cut a 1 ct. stone. It weights 0.92 cts., medium, intense, pure pink color ("rose" pink), masterly executed, "antique" cushion mixed cut, measures 6.05x5.03x3.29mm, comeplteley eye flawless, VVS2-VS1 from the gem fields of Nivitigala, Sri Lanka. Despite being a tad less than the 1 ct. mark, this gem is blessed with awesome color, superb cut and elegant and exotic presence. Definitely a gorgeous sapphire that is completely unheated / untreated and will mount very well for a modest, modest price. We are the unparalleled source for unheated Ceylon "fancy" sapphires of superior quality! Welcome to the finest collection of unheated, all colors, "fancy" sapphires from around the world. Unique, perfect gems, and well priced. We can say for a fact, this is the most beautiful, wholesale priced collection of unheated, "fancy" sapphires from around the world. Will not fail to impress this unheated, Ceylon sapphire, that weights 1.0 cts., medium, vivid, violetish-blue "cornflower" color in daylight, changing to medium violet color in incandescent light, masterly executed, oval, "flower" cut, measuring 6.48x5.07x3.61mm, eye flawless, IF-VVS1 from the gem fields of Ratnapura, Sri Lanka. Where else can you find gorgeous, completely natural, unheated sapphire in all color spectrum. All of these are cherry picked for flawless clarity, then cut to highest western standard and brought to you directly without any middleman. 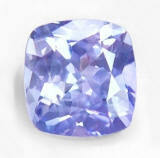 Lovely, with perfect "antique" cushion shape, unheated, Ceylon bluish-violet sapphire. A bargain. 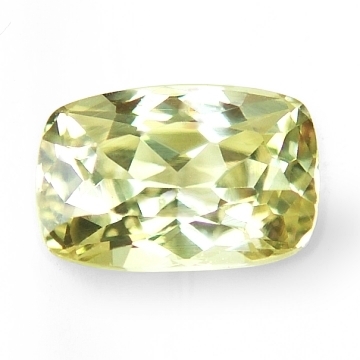 Adorable, diamond-like eye appeal, perfectly cut, unheated, Montana light green sapphire. Rare. 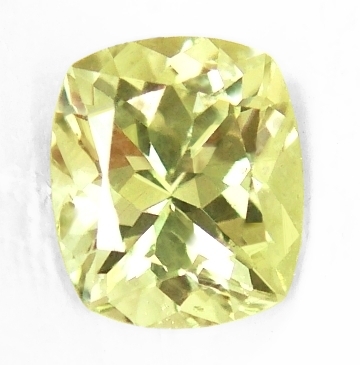 Bad pic of this gorgeous, Montana "fancy" sapphire, weighting 1.43 cts., pastel, yellowish-greenish color (light "lime green, perfectly executed, elongated, rectangular cushion, mixed cut and measuring 7.60x5.04x3.84mm, eye flawless, VVS2 from the the Eldorado Bar, Missouri river, near Helena, Montana. You have to see this one in real life. Looks like a pastel diamond, such is the luster and scintillation produced. A rare American sapphire that is extremely clean, well cut and most of all without treatment of any sort. As mother nature produced it millions of years ago (cut & polish applied). 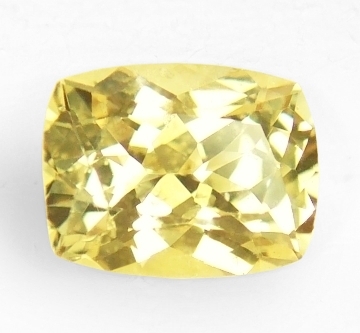 Charming, excellent "golden" color, unheated, Ceylon yellow sapphire. Perfect cut. Another bright & effulgent, unheated, Ceylon yellow sapphire, this one weighting 1.00 cts., vivid, "lemon" yellow color, masterly executed, oval, "star", mixed cut, and measuring 6.28x5.26x3.42mm, eye flawless, VVS2 in clarity, from the gem fields of Nivitigala, Sri Lanka. A most beautiful, unheated yellow with excellent color and perfect cut. Simply a pleasure to experience, this is guaranteed to mount captivating, and in all at a very low, price. We are the source for finest unheated sapphires from Sri Lanka & other locations at true wholesale value. A no brainer for the savvy collector or the exotic jewelry aficionados. 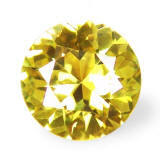 Delightful, perfectly cut, strong color, unheated, Ceylon "yellow-champagne" sapphire. We love our "antique" cushion shaped sapphires. 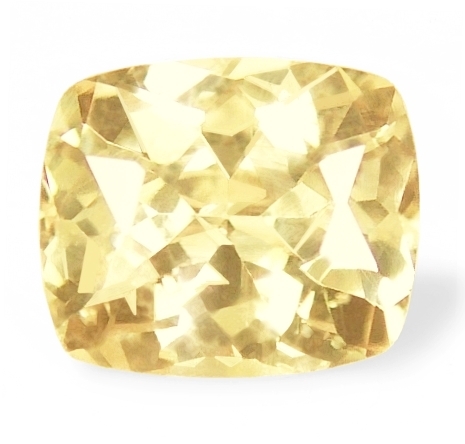 This one weights 1.04 cts., pastel, (light tone), champagne-yellow color, masterly executed, "antique" cushion, mixed cut, and measuring 6.30 x 5.30 x 3.38mm, eye flawless, VS1 in clarity, from the gem fields of Marapana, Sri Lanka. Forget more expensive dealers like "brilliant Earth" or "the Natural Sapphire company". Here you will find the same quality or better at a fraction of the cost. And with the same eco-friendly mined sapphires and recycled "green gold" that they are offering. Welcome to the most beautiful, varied, wholesaled collection of completely unheated/untreated sapphires in the world. Charmingly delightful, very rare, flawless clarity, certified unheated, Ceylon orangish-pink sapphire. Beautiful! Certified unheated, Ceylon pink sapphire over 2 cts. in size, this one weighting 2.21 cts., pastel, pink color (medium-light tone), with a subtle orangish undertone, masterly executed, elongated, oval, mixed cut, measures 9.13x6.58x4.46mm, eye flawless, super clean with a VVS1 clarity, from the gem fields of Balangoda, Sri Lanka. Well, completely unheated pinks are extremely scarce. To get them flawless, perfectly cut and at our prices,... impossible. It is only here that quality sapphires at exceptional prices can be found. Accompanied by a SGL (SanGems Laboratories, Ratnapura, Sri Lanka) and Tokyo Gem lab reports stating "no indications of heating" detected. Another rare, unheated, Ceylon bi-color "fancy" sapphire. Silky, with awesome rich color. Very low price! 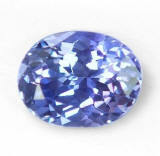 If you like a rare sapphire with a velvety look, you should consider this unheated, Ceylon "fancy" weighting 1.24 cts., medium, vivid, bluish-violet color in daylight (with a pink core center...technically a bi-color) changing to medium-dark purple with pink flashes in incandescent light, excellent cut in an "antique" cushion, mixed cut shape, and measuring 6.88x5.6x3.77mm, eye clean, VS2 to SI1 in clarity from the gem fields of Ratnapura, Sri Lanka. Great color change in a definitely exotic sapphire. Slightly silky in appearance, surely charming and enticing! Charming, perfectly cut, unusual color, unheated, Madagascan pinkish-purple sapphire. A most perfect, unheated, "fancy" sapphire, weighting 0.99 cts., medium-dark, intense, pinkish-purple with an orangish undertone, masterly executed, oval "flower' cut, and measuring 6.59x5.27x3.48mm, eye flawless, VVS1 from the Ilakaka area, Madagascar. Almost a typical, yet unique color from a sapphire hailing from Madagascar. 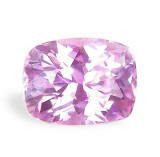 Many pink/purple stones from this famous sapphire area, will bear a typical brownish orange undertone. Hence many stones are burned to purer pinks... by local traders and worldwide as well. A completely natural, perfect unheated sapphire that wants to find a new home. Delightful & lustrous, rare hue, unheated, Ceylon yellow-green sapphire. Wow, such an unique colored sapphire this one. Natural & unheated, this Ceylon "fancy" weights 1.02 cts., medium, vivid, yellow-green color, masterly executed, round, modified diamond cut, and measuring 6.23mm in diameter by 3.63mm deep, eye flawless, VVS1-2 from the gem fields of Lellopitiya, Sri Lanka. An excellent center gem for your sought after, unique, diamond e-ring. Rare color, an hybrid in between yellow & green, basically an intense golden color with a strong green undertone. The cut is perfect and so the exceptional luster & exciting sparkle. Unheated & untreated, as mother nature created it millions of years ago. Exciting bi-color & color change, great cushion shape, unheated, Ceylon "fancy" sapphire. Not only sapphires come in a rainbow of colors, some will show 2 or even 3 colors in the same stone. 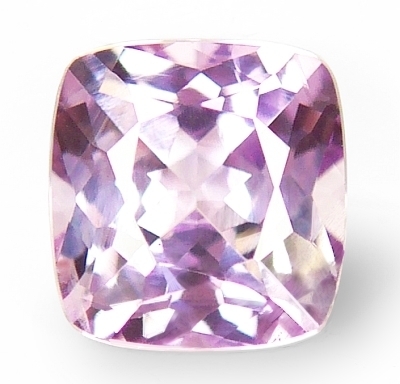 This one weights 1.26 cts., a rare bi-color that is medium, intense pink in the middle with medium-dark, bluish-violet endings, masterly done in an "antique" cushion, mixed shape, measuring 6.78x5.12x3.84mm, eye flawless, VVS2 from the gem fields of Ratnapura, Sri Lanka. Oh, and I forgot, this is also a color change to medium- dark pinkish-purple in incandescent light.... The bi-colors blend very well in an unique and enticing look. Clean and well cut as well...100% no heat. At a great price! 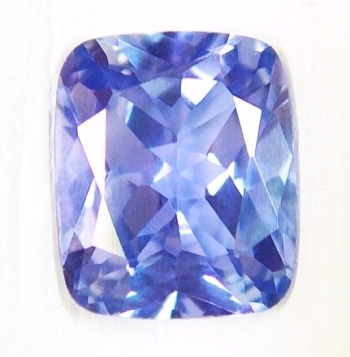 Very lovely, exotic, unheated, Ceylon violet-blue, color change sapphire. Beautiful. Definitely awesome, well cut in a rare shape, unheated, Ceylon "antique" pink sapphire. 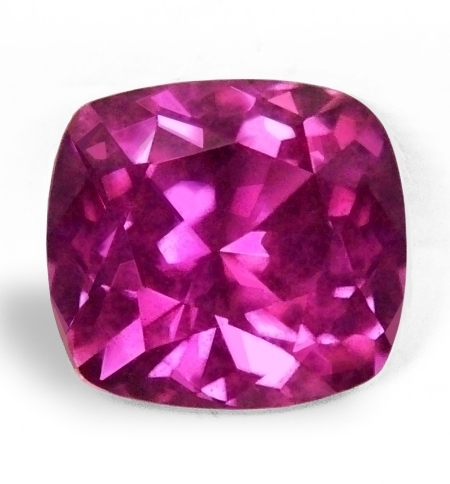 A beautiful, unheated, Ceylon pink sapphire with a most unusual cut, weighting 1.38 cts., medium "antique pink" ( pink with a steely undertone), masterly executed, trillion, mixed cut, and measuring 6.32 x 6.90 x 4.18mm, eye flawless, VVS1 from the gem fields of Pelmadulla, Sri Lanka. A completely unheated, Sri Lankan pink that is delightfully sparkling & definitely mystical in its look. We cannot emphasize enough that unheated sapphires are rarer, more valuable & more beautiful than heated sapphires, that nowadays include more treatments such as diffusion on top of regular heat treatment. Buy unheated sapphires here at the best, wholesale value. beautiful with rare color, almost edible, well cut for large appearance, unheated, Ceylon purple sapphire. A rare color in the sapphire world. This completely unheated, Ceylon "fancy" sapphire weights 1.32 cts., medium to medium-dark, vivid, "Byzantine" purple color, very well executed, oval "flower" cut and measuring 7.30 x 5.01 x 3.73mm, eye flawless, VVS2 from the gem fields of Nivitigala, Sri Lanka. 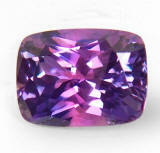 Wonderful sapphire with a very rare color, a pinkish purple which is almost electric, and definitely exotic. We select on-site only the finest untreated Sri Lankan sapphire rough, and cut it to perfection in Ratnapura. We import it here in USA, and offer these beautiful, natural & untreated amazing sapphires at prices that nobody can match. Period. Serene & exotic, perfectly cut & clean, unheated, Ceylon pink sapphire. Rare color. What a delightful pink! Completely natural, no heat treatment, this Ceylon sapphire weights 1.03 cts., medium pink color, slightly purplish in undertone, masterly executed, "antique" rectangular cushion, mixed cut (with "flower" pavilion), and measuring 6.41x4.95x3.71mm, eye flawless, VVS1 from the gem fields of Marapana, Sri Lanka. With prices skyrocketing for unheated material, our collection of unheated fancies, blues and yellows is definitely a bargain. Do not hesitate to buy. A beautiful pink this one, at a great price. Exceedingly sweet, very well cut, unheated, an-all American "Montana" sapphire. Collectable! A very rare, native American sapphire from Montana weighting 1.05 cts., pastel, yellowish-green color, masterly executed, "antique" cushion, mixed cut, measuring 6.08x5.17x3.97mm, eye flawless, VVS1 from the Rock Creek area, Gem Mounting, near Philipsburg, Montana. A very sweet, unheated pastel green sapphire from a very important & sentimental location within American boundaries. Nowadays, clean, Montana rough material, without any heating that will cut stones over 1 ct. in size is simply unavailable and very sought after. Here is your chance to get a very beautifully cut, clean, pastel green, Montana sapphire at a super great price! 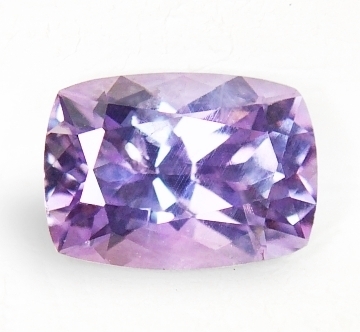 Charming, perfectly cut, unheated, color change, Ceylon lavender sapphire. Real nice. Exotic, with our signature cut, of course completely unheated, Ceylon yellow sapphire. Elegant. Another beautiful & shimmering, unheated "fancy" sapphire here, this one weighting 1.08 cts., medium, yellow color with slightly greenish undertones, excellent, "antique" cushion, mixed cut, measuring 6.63x5.13x3.47mm, eye flawless, VVS2 from the gem fields of Kuruvita, Sri Lanka. We take pride in offering the most beautiful collection of unheated/untreated fancy sapphires available anywhere. Not only our fancy are untreated, but cut beautifully and of super clean clarity. Last but not least, they are offered at below wholesale to the public. Sweet...! 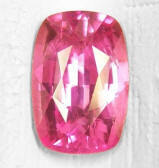 Delightful, with awesome color, very well cut, unheated, Ceylon hot pink sapphire. What a great deal! If you like a slightly elongated shape, this one might be right for you then. A most ravishing Ceylon pink sapphire weighting 1.04 cts., top, vivid, hot pink color, excellent, elongated, "antique" cushion, mixed cut, measuring 7.17x4.75x3.18mm, eye flawless, VVS1 from the gem fields of Ratnapura, Sri Lanka. Such a gorgeous & intense color in a beautifully shaped sapphire. 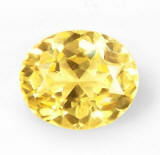 Right now, prices for unheated Ceylon sapphires in every color is at an all time high. Super scarcity of good rough, presence of highly treated material sold everywhere, this collection is the best value you can get anywhere on the planet. As simple as that. Serene, simply loving, unheated, Ceylon pink sapphire. Very pure color, at a great price! Every time I see this one, It feels always like a spring breeze. 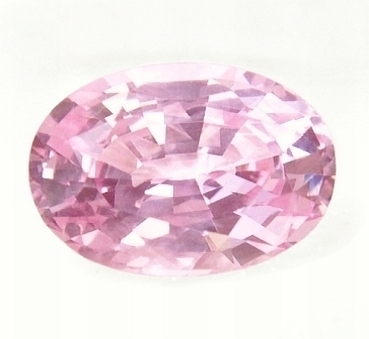 A definitely very serene, Ceylon pink sapphire weighting 1.24 cts., medium, intense, pure pink color, perfectly executed, oval, mixed cut, measures 6.96x5.27x3.97mm, eye flawless, VVS1 from the gem fields of Nivitigala, Sri Lanka. If you like a spring-like and fresh feel, this pink will not disappoint you. Very well cut, dancing joyfully with shimmer, without any sort of treatments (completely natural, no heat...did we say something new?... ), this one can also mount a standard 7x5mm oval setting, so there are so many choices out there. And at this price, what a steal!